The coverage of foundation with the finish of powder. 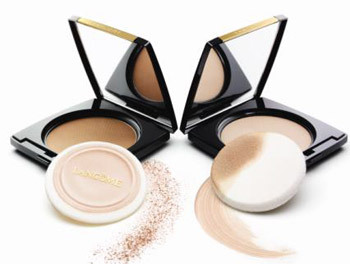 Portable perfection in one makeup: foundation's flawless coverage, powder's lightweight feel. A new definition of makeup versatility and clarity, Dual Finish Versatile Powder Makeup gives the skin exactly the look and the coverage it needs. As a foundation: sponge on dry, over daytime moisturizer, for a soft matte effect or sponge on damp for a full-coverage, flawless, matte finish.